﻿ Phuket, Naiyang Beach: ECO Guesthouse near HKT: Traffic in Thail. means that right turns are against the flow of traffic, and passing is on the right hand side. Yielding is to a vehicle coming from right except there is any other road sign. Traffic circle is clockwise: Entering the circle is by moving to left. A red blinking light means: STOP! As far the official rules. The most important everyday's life rule is to know that Thai use passing on the right hand side too. Quick motorcyclists pass on both sides at the same time. Leaving the lane even for half a meter might be followed by a collision with a careless motorcyclist. Phuket International Airport offers 2 different exits for arriving passengers: One for domestic arrivals without passport check and another one for international arrivals with passport check at immigration counters. For the convenience of passengers 4 taxi stands are available: Two ones within and two ones outside the so called restricted area. 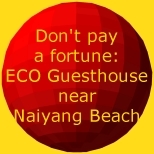 ECO Guesthouse works in co-operation with the taxi stand located within the domestic and restricted arrival area. We announce our guests there by phone and fax (for transmitting the names correctly). If you arrive by a domestic flight you will see this counter immediately after picking up your luggage and proceeding some meters. Arriving from abroad and passing through the international arrival area please turn right before leaving the restricted area by the sliding door. 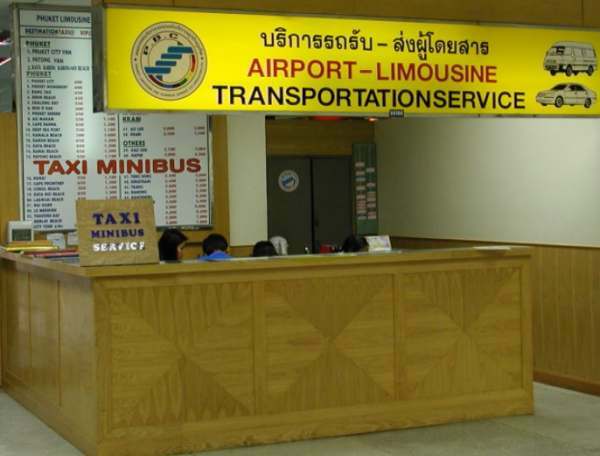 Pass the taxi stand (which is now situated at your left hand side), the stalls of exchange offices and travel agencies and proceed to the taxi stand described just above. Tell them your name and your aim ECO Guesthouse and the waiting driver will take you to us. "Pearl Village Hotel": Stop at intersection H 4031 / Pearl Village road. ECO Guesthouse is located within walking distance of about 250 m.
"Thalang Hall": First occasion to join long distance busses departing from Phuket Town bus terminal. "Thaothep Monument": Thalang National Museum nearby. 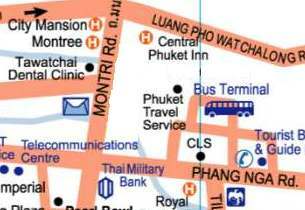 "Central / Big C / Lotus": Access to shopping malls, German Consulat and International Hospital. * Not available at Sundays and public holidays. Long Distance Busses connect Phuket Island with other parts of Thailand. 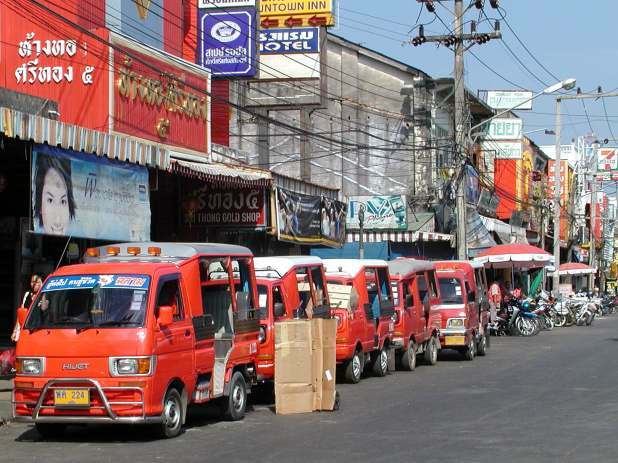 All busses depart / arrive at bus terminal at Phuket Town. Aims are Bangkok via Chumpon, Donsak Ferry, Hat Yai (near Malaysian border), Krabi, Nakhon Si Thammarat, Phangngaa, Ranong via Takua Pa and Khao Lak, Samui Island (bus / boat), Phatthalung, Satun (near Malaysian border), Surat Thani via Khao Sok, Trang and other ones. Sorry! This private website cannot be a substitution of bus companies' schedules. 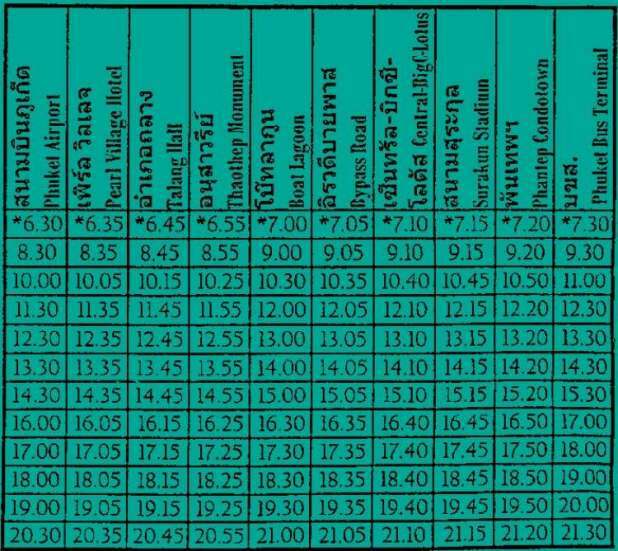 More information about up-to-date schedules and fares may be got at bus terminal at Phuket Town. 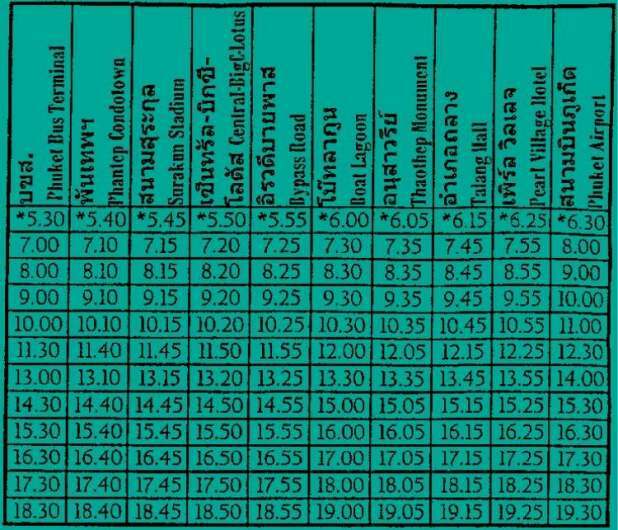 Unfortunately none of these busses goes via Phuket airport. 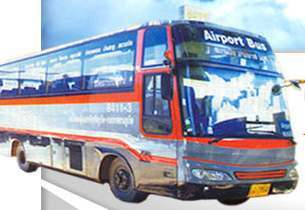 The following hint for bus travellers could be helpful to find the way to ECO Guesthouse: Coming from the north (passing Sarasin bridge), leave the bus at Thalang and take the airport bus there (direction airport) until stopover at "Pearl Village Hotel". From there about 250 m walking to ECO Guesthouse.